Build upon your capsule wardrobe with this essential top. 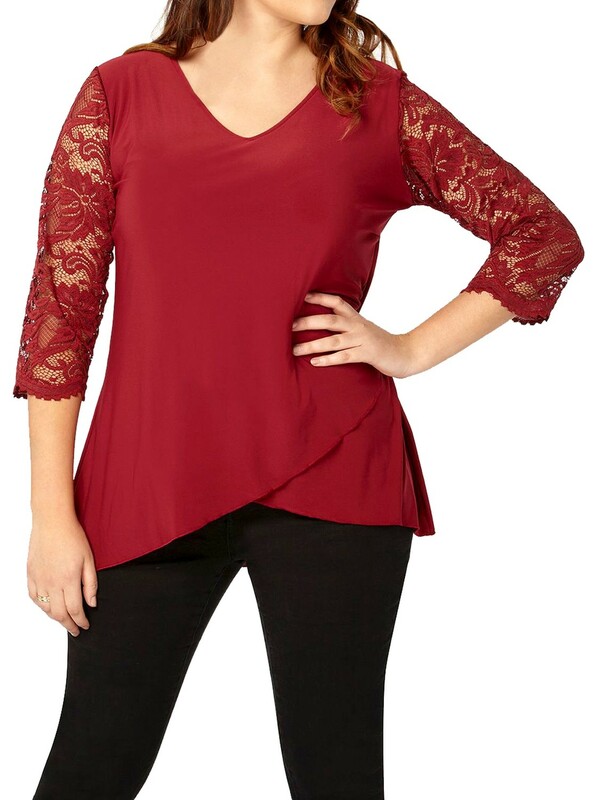 Featuring a v-neck, semi sheer lace sleeves and crossover hem. Length 28in at shortest and 31in longest.